UBC’s Xwi7xwa Library has collaborated with The Ray and Millie Silver Aboriginal Library in Abbotsford to make their own unique cataloging system for Aboriginal materials. 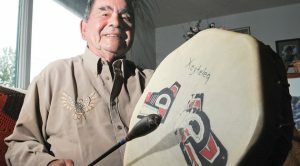 The Ray and Millie Silver Aboriginal Library has more than 2,000 materials for community members and children in the Abbotsford School District, but children and teachers in the district’s 46 schools have been unable to easily access materials in the library as not all of the materials were catalogued. In December 2016, Loraleigh Epp, a library tech, started to reorganize and revamp the way the materials in the library were organized. Epp considered cataloguing the materials using the traditional Dewey Decimal system – common to public libraries. However, the system is challenging in the way it organizes and represents Aboriginal materials. “We started the journey,” says Epp, “by doing research on the Brian Deer classification system, a unique cataloging system specifically designed for Aboriginal materials.” Canadian Kahnawake Mohawk librarian Brian Deer, one of the first Indigenous librarians in Canada, created the system in the 1970s to organize Indigenous materials. As part of her research, Epp discovered that UBC’s Xwi7xwa Library used a modified Brian Deer system in their library, so she contacted the librarians to get some insight. UBC Librarians Ann Doyle, Sarah Dupont and Library Assistant Eleanore Wellwood welcomed Epp and showed her how they had modified the Deer system for materials at UBC. “The Brian Deer classification system arranges items together on the shelves in a way that better reflects relationships from an Indigenous worldview,” says Sarah Dupont. For example, the Musqueam First Nation and Sto:lo First Nation are geographically and culturally close, but if the materials are catalogued alphabetically, Musqueam and another nation, such as Mohawk, located in Ontario, would appear together on a shelf. When conducting research about Indigenous peoples, materials about close neighbors may contain content that is relevant to both groups. Musqueam and Sto:lo are both Coast Salish nations and have a stronger geographical tie of culture and language than with alphabetically close nation such as Mohawk. In this way, the Deer system makes things easier for users browsing the shelf, and it also aims to solve some of the problems created by cataloging with a colonial perspective. With help from Xwi7xwa, Epp was able to re-catalogue her materials and input them into the school district’s online catalogue at the same time. The materials are now accessible and searchable from any of the schools in the district, meaning children and teachers can find the materials easily. Epp especially wanted to modify the system to reflect “how the public and staff would look for it.” For example, in the Brian Deer system, Indian Residential Schools is a heading under “Education.” Epp chose to pull Indian Residential Schools and the National Truth and Reconcilliation Commission into their own categories to better reflect how users might search for these materials, particularly teachers and the public. Now that the library has been reorganized, community members and elders are using the materials for language literacy and education. Dr. Ray Silver and some of his family members, at the opening of the library. 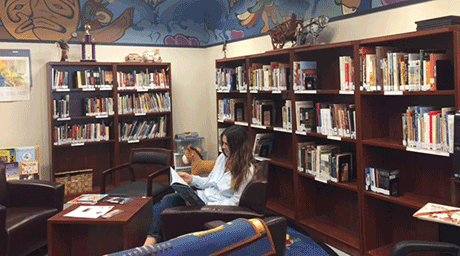 The Mamele’awt Community Aboriginal Centre, which houses the library, is open to the public. People wishing to check out materials do not need a library card and the general public is encouraged to use the library. Epp says improving the catalogue is an ongoing effort, and that the next step will be to improve the subject headings for materials. The library is also hoping to bring more community users into the space by offering programming, such as story times for young children. For more information on the Ray and Millie Silver Aboriginal Library, named for Dr. Ray Silver, Xéy’teleq, and his wife Millie Silver, visit their website, or the Mamele’awt Community Centre (3277 Gladwin Road, Abbotsford, B.C.). 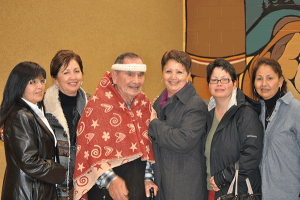 Doyle, Ann M.; Lawson, Kimberley; Dupont, Sarah (December 2015). “Indigenization of Knowledge Organization at the Xwi7xwa Library”. Journal of Library and Information Studies. 13(2): 112. doi:6182/jlis.2015.13(2).107.